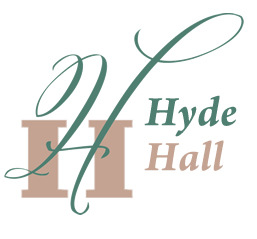 Email johnbower@hydehall.org.mylampsite.com by 5pm, Friday, May 12. Include your business name and names of those attending. NOTE: If you have already registered, Thank You! On Wednesday, May 17th, the Regional Tourism Industry will gather at Hyde Hall in Springfield, NY for the Annual Regional Tourism Industry Brochure Exchange. Starting at 5:00 PM, Tourism Industry members including accommodation providers, restaurants, attractions and museums will check-in, park their cars, open their trunks, share printed promotional material. Registered attendees will enter through the main entrance of Glimmerglass State Park and proceed to Hyde Hall. Tourism businesses and organizations from Herkimer, Oneida, Otsego, Schoharie and Chenango Counties are invited to participate in the exchange. Attendees are encourage to bring displays to further showcase their properties at the exchange. “This annual event is a wonderful, invigorating way to kick off the tourism season, exchange tourism brochures with partners throughout the region and – just as importantly – network with tourism colleagues – to further promote one another during the 2017 season,” says Deb Taylor, Director, Cooperstown & Otsego County Tourism Program. Following the event a reception will be held in the Hyde Hall visitor’s center and tours of the Hall will be provided. Pre-registration is required through JohnBower@hydehall.org.mylampsite.com or by calling 607-547-5098 ext. 6. This Tourism Marketing event is sponsored by Erie Canal Cruises, Hyde Hall and the Fly Creek Cider Mill & Orchard and supported though the Central New York Tourism Region, County Tourism Programs and Chambers of Commerce. This tourism industry marketing and networking opportunity is free! Interested members of the media are also welcome and encouraged to register. See you there! FAQ’s about a Brochure Exchange! Q: What is a brochure exchange? A: A brochure exchange is an opportunity for area tourism business to exchange, collect and distribute their printed promotional materials among each other and learn more about what products, programming and promotions are schedule for the busy summer season. Q: How do we do it? A: Participants gather at Hyde Hall, open their trunks, and share their brochures, menus, maps and MORE! Many exchangers create a “mini showcase” of their business such as menu samplings, complimentary tickets, wine & beer tastings & give-aways. Be creative and have fun in creating your displays! A: Lodging Providers, Attractions, Chambers & Restaurants from throughout the Central NY Region. Q: Is this only for managers or owners? A: Definitely NOT! This is a valuable tool to educate and inform your front-line people about all the opportunities available for your guests or clients to enjoy during their visit. Q: I don’t have a brochure? A: You don’t need a brochure. This is a chance for properties to collect information to share with their guests or clients to make their visit more enjoyable. Q: I don’t distribute other organization’s brochures! A: Doesn’t matter! It is still an opportunity for you to meet your fellow tourism industry members and promote your operation and network! A: FREE Marketing Distribution, FREE Networking Opportunities, FREE Business Development Opportunities, FREE venue to show off your business, FREE snacks and drinks, oh, and plenty of FREE PARKING! Time: 5:00 PM Brochure Exchange followed by a ground floor tour of the Historic Mansion, Wine, Cheese, and a Light Buffet. Registration is required.